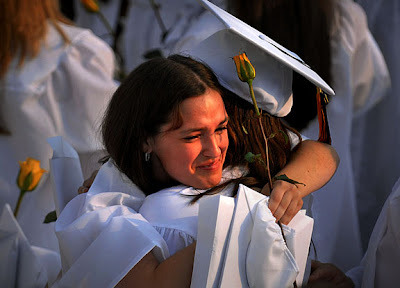 6:34:55 PM: Joel Barlow High School graduate Sarah Quatela hugs a classmate following commencement exercises on Tuesday. Great shot! Love the single rose in her hand and the expression on her face!